is this thing on? (an announcement, giveaway, and a word or two about failure) | i made it so. well folks. it has been a while. but my blog is finally fixed and i’m here with some exciting news. i believe it is every writer’s (and hence blogger’s) dream to be forever immortalized in print. yes, it has finally happened to yours truly. 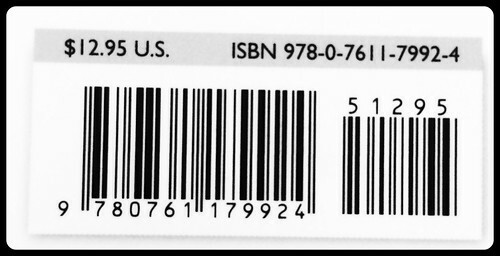 i have been written about in a book with its very own ISBN! what? oh. you want to see the actual book? well, never mind that. that’s just superfluous, and i don’t want to be flaunting my fame. just take my word for it. in a nutshell, the published tome expounds on my virtues as a talented craftard (that’s the combination of the words crafter+wizard). it will be available in libraries forevermore for future generations to reference and glean my creative wisdom and knowledge. what do you mean “show the book already”? haven’t we built a trust over the years, you and i? you don’t need to actually see the book to believe it do you? ok, ok. no need to get all unsubscribey on me, bossy boots. if you must know, i’ll share the book. you see, after years of sharing all of my crafting successes, my life’s work has been forever immortalized for…failure. and to add insult to injury, the book’s author, heather mann, sent me an extra copy to give away. like this is something i want to actually share with the world. 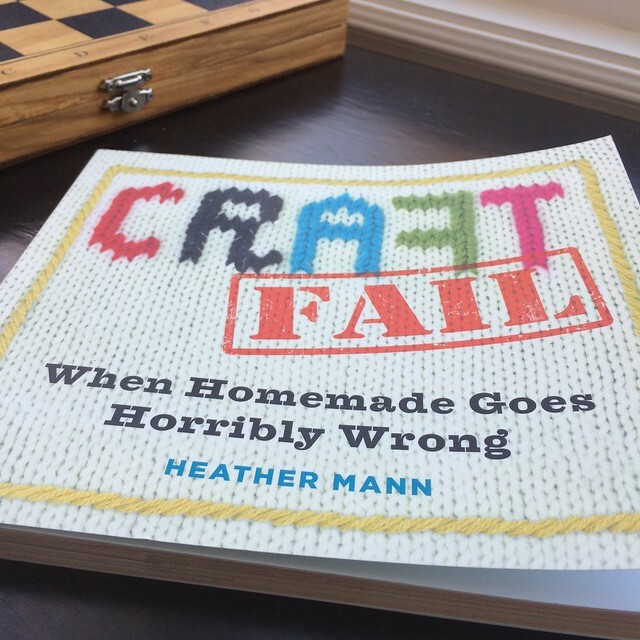 all kidding aside, because this is serious stuff folks… i am thrilled for heather’s new book, and tickled that my failed craft submission was included amongst other spectacular failures. the book, like the craft fail website, is a funny, often cringe-worthy look at how our good crafty intentions can go horribly wrong. and ultimately (this is my favourite part) it is a reminder that failure is an intrinsic part of the creative process. thank you heather, for celebrating this process and for reminding us that we’re not alone when our creations don’t go quite as planned…or don’t look quite the same as those photos on pinterest promised. to be entered into the draw for this book, please comment below before march 1st 2015 (include your email, it will not be published — unlike my craft failure, which was published in all its glossy, full-colour glory). you can tweet about it, share it on Facebook, jump through all those hoops other bloggers make you do to enter their giveaways, but it won’t get you any more chances to win. sorry. this is how i roll here at i made it so, you should know this by now. i’ll choose a name at random and announce the winner here eventually. i may decide to send the book to the winner too. if i must. This entry was posted in books, featured!. Bookmark the permalink. Wow! It was good to hear from you again. I was wondering what happened to you. And you’ve been published! 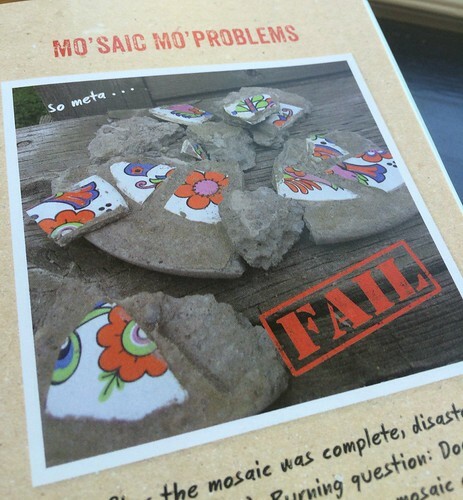 I remember that Craft Fail. The agony….anyhoo, good to have you back and congratulations! I think. hey nancy, thanks! nice to hear from you too. yes, you were there during this fail. thanks for enduring! aww, man, a shame to become famous for a fail. But perhaps you and Heather could turn it into a win in a future book – “After the Fail, Success!” about trying again. Meanwhile, I hope you enjoy yoru 15 minutes of fame! good idea salpal1… heather has gone on to other successes herself, and just the fact that any of us attempts our craft (whatever it may be) after a fail is a success in itself. but really, would be nice to be recognized for that instead ;) thanks for visiting! as are you, by association. you’re welcome. hehe.. i know! awful stuff. yes! see? just what i was telling jess above. you guys should get together. start a fan club or something. How very delightful and funny. You, not the book. Although I’m sure it is, too. I’ll be checking back regularly now.